If you are thinking that an international flight seat is expensive, think again! 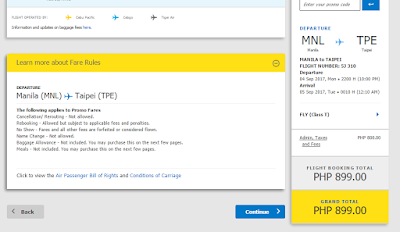 Cebu Pacific has something for you and for your travel buddy! 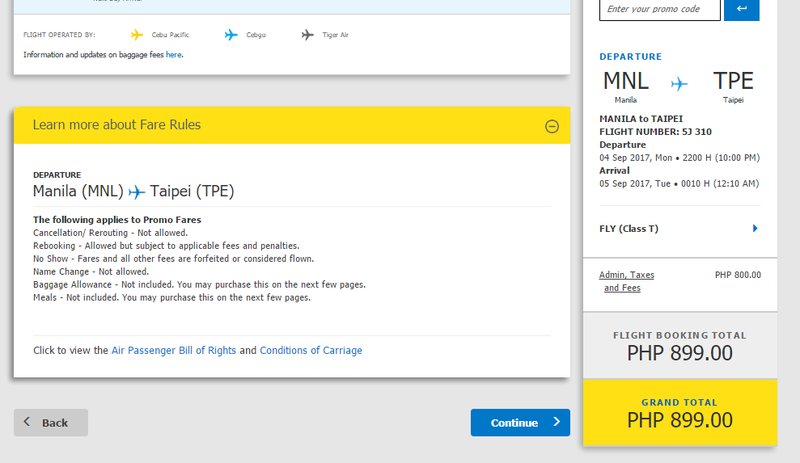 Cebu Pacific is offering a very cheap promo for international flight for as low as Php 899. The sale period is up to APRIL 18 or until seat last. The travel period is from SEPTEMBER 1 TO DECEMBER 31 2017. • SEATS ARE AVAILABLE ON SELECTED DATES ONLY AND ARE LIMITED. PLEASE TAKE NOTE THAT ALL PROMO FARES ARE SUBJECT TO AVAILABILITY AND ARE LIMITED TO GIVEN FLIGHT ROUTES. IF YOUR CHOSEN DESTINATION/TRAVEL DATE IS NOT AVAILABLE, THE WEBSITE WILL SHOW YOU THE NEXT LOWEST REGULAR FARE AVAILABLE . 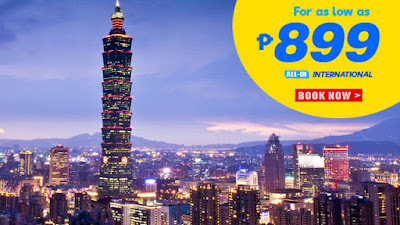 TO AVAIL THIS PROMOS, YOU CAN BOOK ONLINE AT CEBUPACIFICAIR.COM. FOR INQUIRIES, CALL (02) 70-20-888 IN MANILA OR (32) 230 - 8888 IN CEBU OR VISIT TRUSTED TRAVEL AGENT NEAR YOUR PLACE! LOOK : Philippine Airlines SEPTEMBER MADNESS PROMO! BOOK NOW!